Some things in life are too terrible to behold. Tax season. Finding out your favorite product has been discontinued. Elevator Music. But this mask isn’t one of those things! It’s terrible, yes, but it’s justterrible enough. In fact, we may even argue that this Brutal Waldhar Warrior Adult Mask is the perfect amount of terror for an ideal Halloween night! With this mask, you can transform yourself into a tortured soul who never left the battlefield of medieval times. 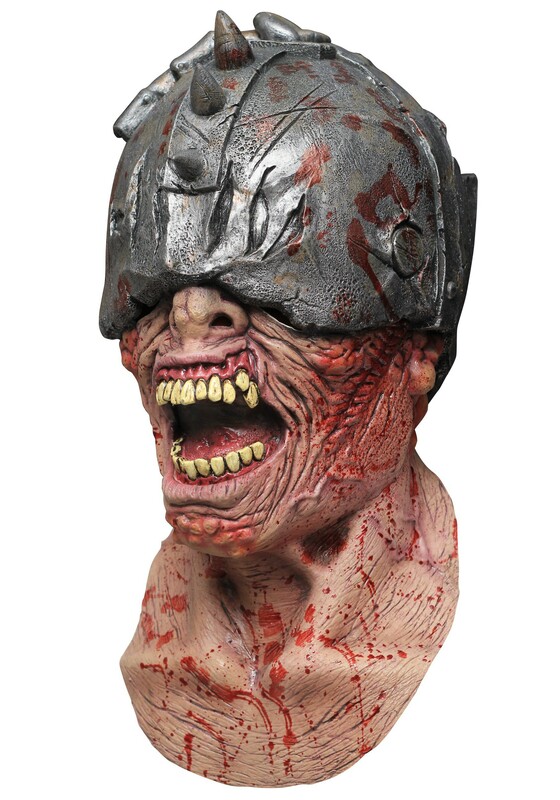 This highly detailed, frightening mask is covered with gory blood splatters, has a mouth frozen in a cry of pain and inflamed stitching on the face. It will make any ho-hum costume into a haunted soldier costume that will be aptly terrible to behold. Not too little, not too much. This mask’s gruesomeness is just right for a good fright night.